Safety has never been a second priority to Mazda. As a leading auto making brand, Mazda has contributed in the automotive industry with several groundbreaking technologies that have increased the level of safety in the vehicles they produce. 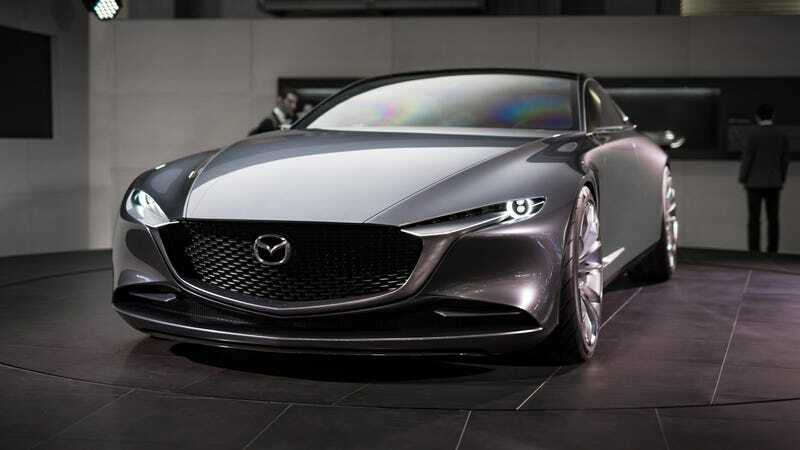 As revealed by the Las Vegas Mazda experts engineers of Mazda work relentlessly to create the most eye-catching design, that exhilarates and keeps the people safe on road. The Mazda CX-5 has been selected in the 2017 IIHS Top Safety Pick Plus category, for features like Smart City Brake Support and Adaptive Front-lighting System. The rating that the CX-5 from Mazda has scored was the highest in the list of vehicles who have qualified for this award. To make an active participation in the movement of road safety, Mazda has launched its innovative technology named i-Activsense to protect the cars from all possible situations on the road that can ;lead to devastating accidents, collisions and breakdowns. This technology is based on milli-wave radars and a line of cameras fitted at strategic places to keep the driver in the know-how of the surroundings. The first target of this technology is to keep the driver entirely focused on the road ahead. It helps the driver in building up the right amount of confidence, while shredding down the initial jittery attitude while making a split second decision. At the same time it alerts the driver whenever his focus is getting diverted, or when h forgets to engage the right signals in the car, while taking a turn. This acts as a boon for the new and novice drivers who have all the enthusiasm to drive but have not yet picked up the sense of judgement in a trying situation faced on the road. The SkyActiv technology aims to reduce the impact of the severity of impact that is caused by a major collision, or accident. The system works by throwing alerts to the driver for all potential hazards, helping him avoid the impending collisions, and finally reduce their severity of injuries when the accident still takes place. This is a system developed with the ability to protect all the car occupants from the severity of injuries and reduce damage in the event of any inevitable accident. It includes the rigid SKYACTIV-Body with the help of seatbelts, a ring like structure, pretensioners and load limiters, while the features like anti-intrusion brake pedal, and a full set of SRS Airbags place at the most strategic points to save the sensitive body parts clashing against the hard surface. The experts of the Henderson Mazda shared the inside story of Mazda, about its journey of innovations and production over 25 years. The effect we see, are the magnificent cars with unique designs alluring us to buy one. But what makes them more worthy of this craze is the safety technologies that work both ways to deliver a perfect ride. While the driver assistance programs educate the driver on the go, the safety features pardon the untimely mistakes of the driver and does not allow it to harm the livestravelling in a Mazda car or are simply passing by one.